Duane Hayden Butler of Hendersonville, TN and formally of Montgomery, AL., passed away on Sunday, December 2nd, 2018 at the age of 64. Duane was born August 15, 1954 in Louisville, KY to Christopher Lee Butler and Juanita Sipes Butler. Duane was a larger than life character who was extremely patriotic. 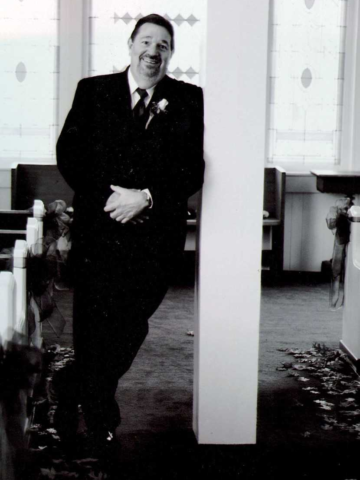 Duane loved music and started singing in the choir as a child and continued throughout his life. Duane relished being a husband, father, grandfather, brother and friend. He saw the humorous side of life and loved sharing his talents and abilities with others. Whether he was fixing someone’s broken down car or building a ramp for a handicapped dog, Duane loved helping anyone who needed a helping hand. Duane is survived by his wife, Emily Johnson Butler; his children Robert (Julie), AJ (April) Johnson, and Tracy (Rusty) Hall; 11 grandchildren; his mother, Juanita Butler; 2 brothers and 2 sisters. A Memorial Service will be held on Thursday, December 6, 2018 at 1:00PM at Hendersonville First Baptist Church with Rev. Bruce Chesser officiating. A Visitation will be from 11:00 AM until service time beginning at 1:00 PM at Hendersonville First Baptist Church. In lieu of flowers, the family requests donations be made to Hendersonville Homebound Meals or Homes for Our Troops. Honorary Pallbearers: Members of the FBCH Adult Choir. Duane was a gentle giant with a good humor and sweet to everyone. He will be so missed in the FBCH choir. Praying for his family . I’m so sorry for your loss. In the very short amount of time I’ve had the honor to know Duane, I found him to be so kind with a fun loving sense of humor, he was an encourager!! My best to his family. I will see him again!! !